i have several shots of my kitties like this one. priceless! 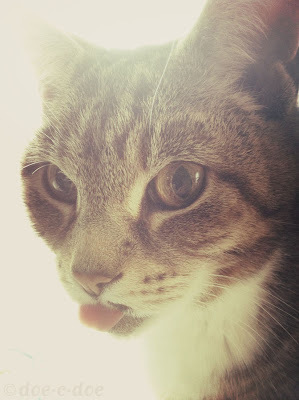 OMG my cat when I was little used to stick her tongue out, it is the cutest thing EVER! !